Two Utah lawmakers, Sen. Orrin Hatch and Rep. John Curtis, have introduced legislation for management of public lands in Emery County in Utah. This is a landscape of incredible public lands bordered by the Manti-La Sal National Forest, Capitol Reef National Park, and Moab, all of which have beloved outdoor recreation opportunities. The bill, called Emery County Public Land Management Act of 2018, provides permanent protections to more than one million acres in Emery County, with new Wilderness areas and Wild and Scenic Rivers. While the bill reflects a number of compromises and needs improvement with regard to the management of some climbing and mountain biking resources, Sen. Hatch and Rep. Curtis have made earnest—and appreciated—efforts to engage a wide range of public lands stakeholders, and the bill would contain important wins for conservation and outdoor recreation. 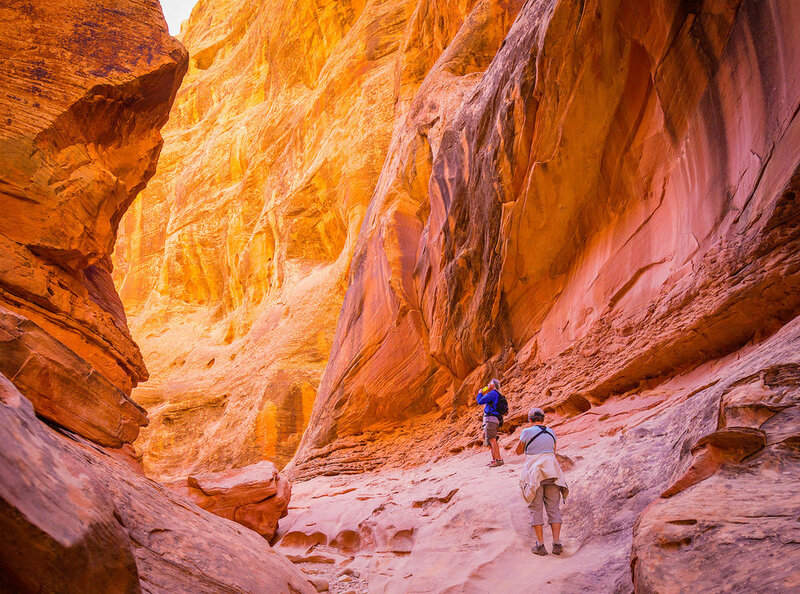 This part of Utah has a lot of fantastic outdoor recreation, including the San Rafael Swell. Because of these resources, it’s really important that organizations like Outdoor Alliance and our member groups are involved to make sure the bill is good for people who love the outdoors. There are a few great things about the bill and its process. It was collaborative, Utah lawmakers are working together, they solicited feedback from a wide range of constituents (which matters to us) and they are touting the bill’s conservation values. The bill also protects key conservation laws (read more in our official comment letter) and ensures that non-motorized recreation is included in an advisory council that will oversee how the bill is implemented. There’s a legal process right now that will determine whether a number of motorized routes will remain open, unrelated to this bill. We think it’s important that the legal process be allowed to play out. Some organizations want to see a broader landscape protected, and we are advocating for more protections where we think they make sense. Given the political realities of the moment, and the sentiments of people who live in the area, we feel that the bill is a good compromise. Rivers: Protection for 16 additional miles of potential Wild & Scenic River on the Uinta and Ouray Reservation. Climbing: Updates to how the bill manages fixed anchors in Wilderness. Mountain biking: Ensuring that priority existing trails remain open and mitigating any loss of mountain biking trails by making possible new trail construction. On the whole, the bill reflects ongoing efforts at compromise regarding a landscape where conservation issues are often contentious. The bill as introduced needs some key improvements, but we’re hopeful that a positive compromise will be struck for the future of public lands and outdoor recreation in Emery County.